Following the extremely successful Live Coco Cam — a 24-hour look behind-the-scenes at the Conan offices — Conan O'Brien is letting his fans in on the ultimate warm-up for his new TBS show. Conan will host Show Zero on Monday, Nov. 1, at 11 p.m. (ET)/ 8 p.m. (PT). Show Zero will be triple-simulcast, streaming on TeamCoco.com, YouTube.com and Facebook.com. Show Zero will feature celebrity guests, elements of “The Basic Cable Band,” and Andy Richter as they help Conan warm up for the main event. 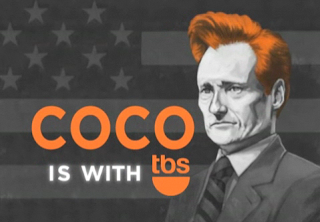 Conan premieres on TBS Monday, Nov. 8, at 11 p.m. (ET/PT).